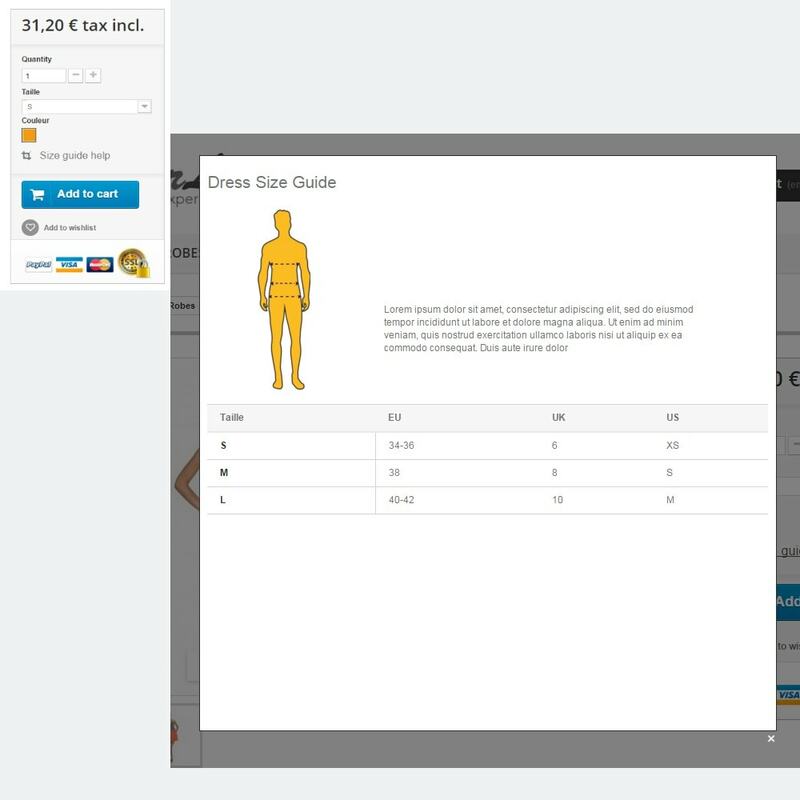 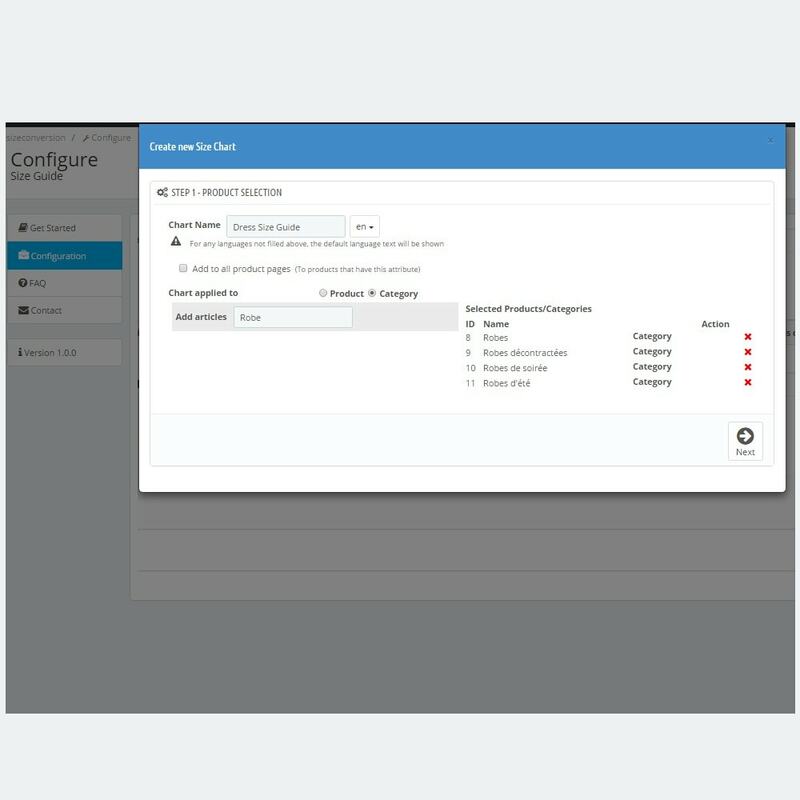 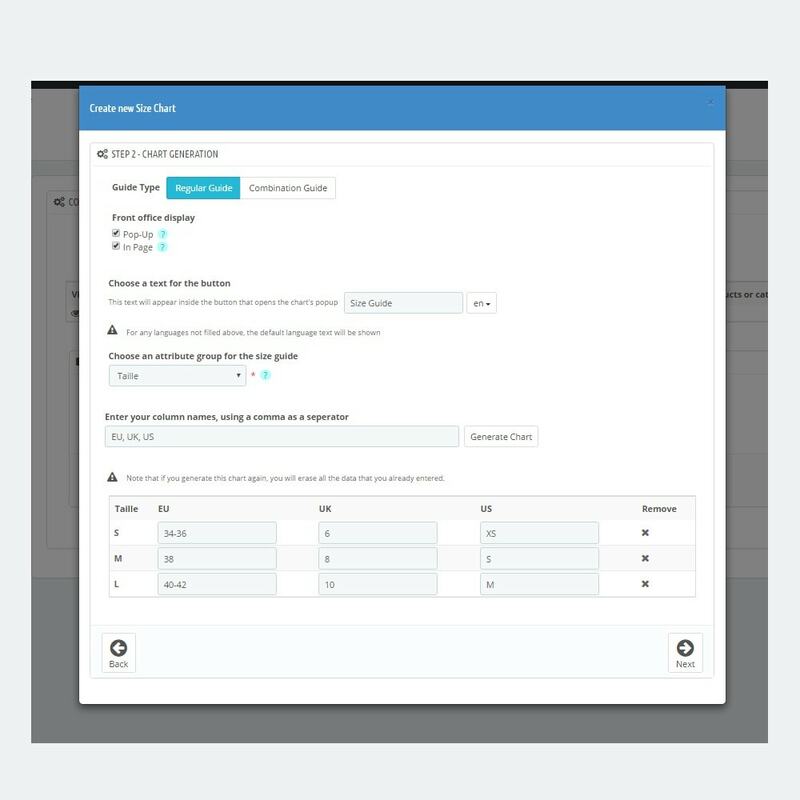 Reduce your product returns and improve customer satisfaction with the Size Guide module! 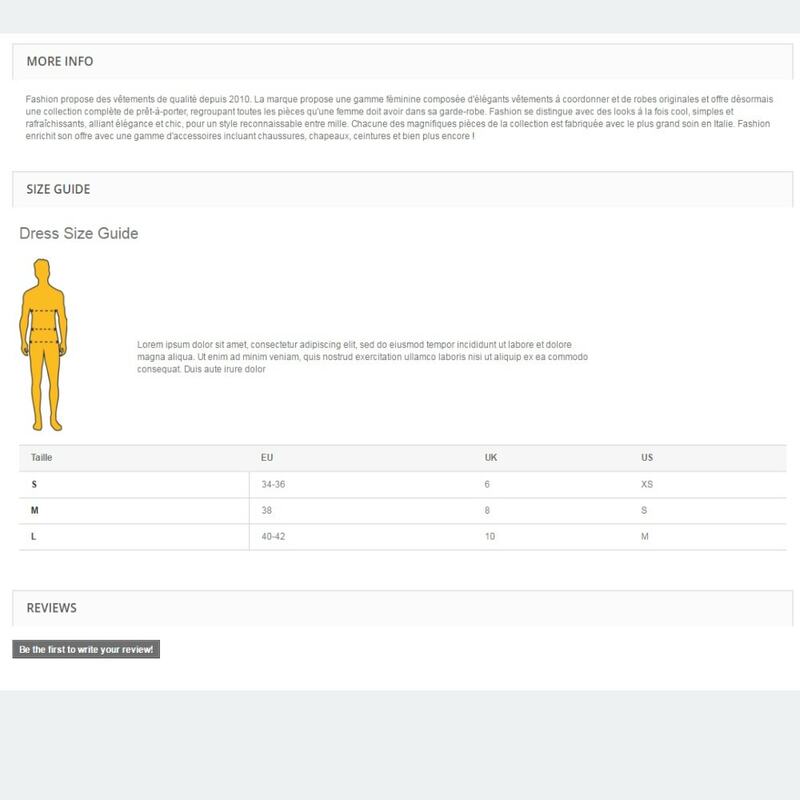 Ideal for online clothing, lingerie, accessory and jewelry shops, this module allows you to create and customize various size correspondence tables for the products and categories of your choice in a few minutes. 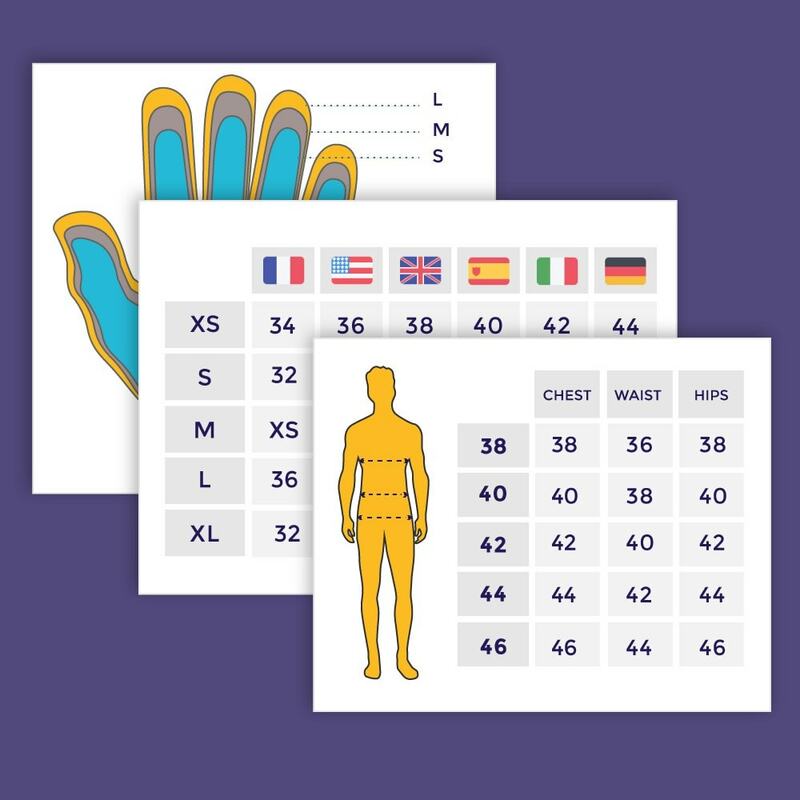 EU sizes compared to US, UK sizes, etc. 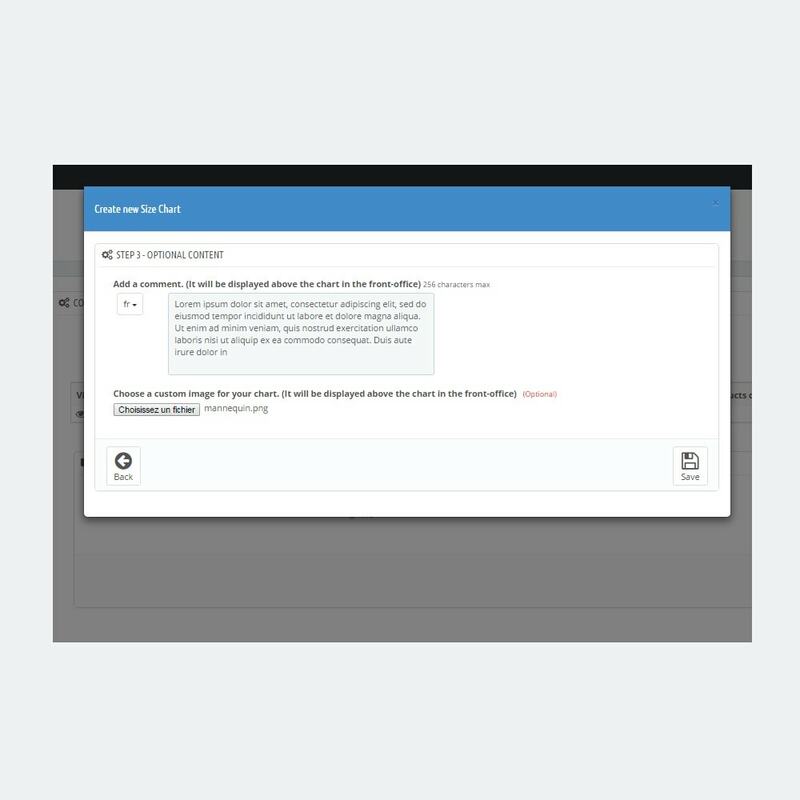 Show one or more size guides on a single product page (in tabs), in a pop-up window, directly in a dedicated box on the product page or as a "Size finder"
They easily find the information they are looking for right on the pages of the products they want to buy. 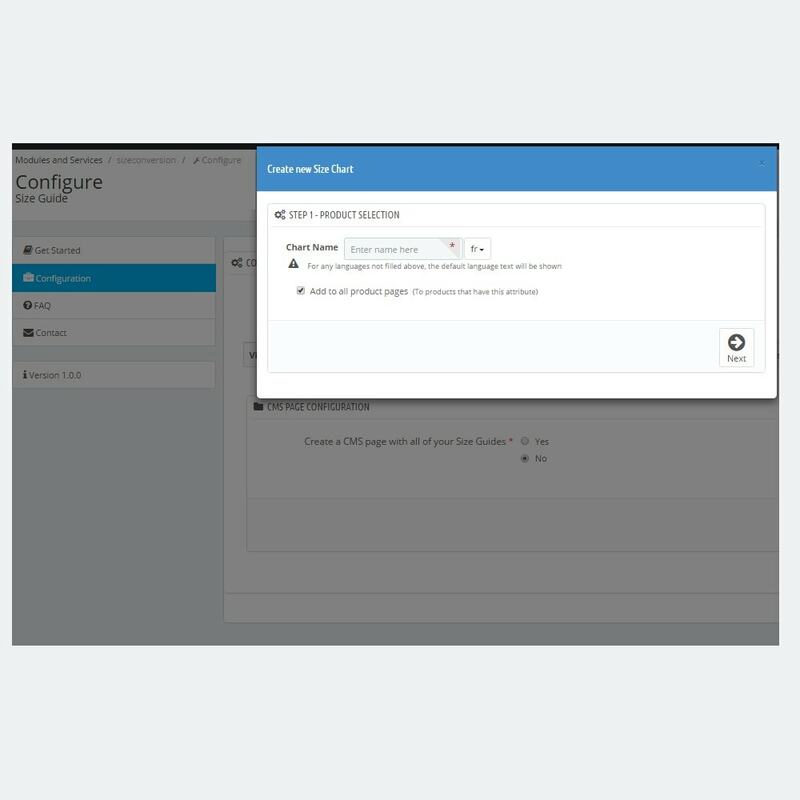 Efficace et simple d'utilisation, je recommande le module.